I really love picking items for gifts that are usable. There’s nothing worse than giving a gift to someone that’s just going to collect dust and sit on a shelf. And pet gifts are no different! When putting together a gift basket, I really try to put thought into every element of the gift, including the basket! For this gift, you’ll actually be using the water or food bowl/dish as the basket! I love things that you can get double-duty out of! 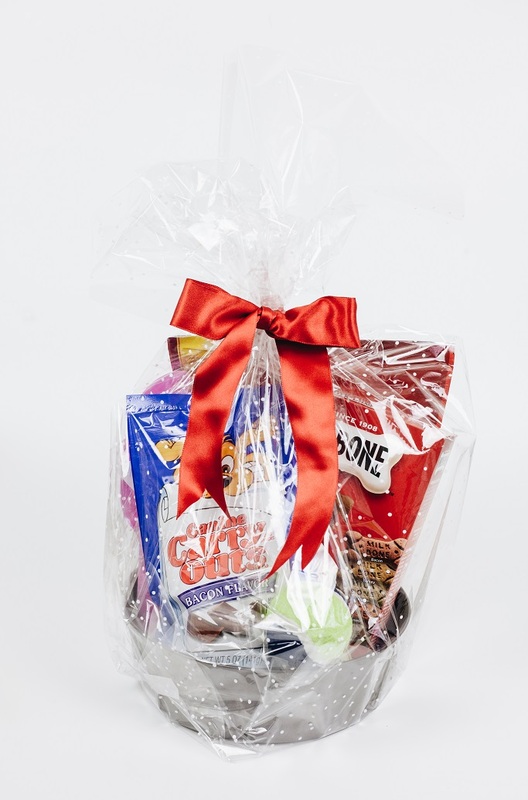 It’s a fun and different take on a traditional gift basket, that is still useful and great for the dog or dog owner in your life! I headed over to my local Walmart store to pick out the items for my basket. 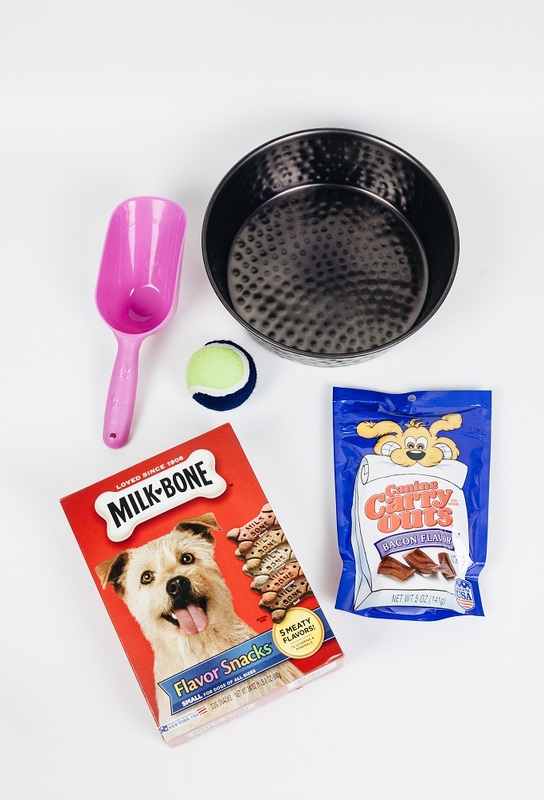 My dogs are huge Pup-Peroni and Milk-Bone Flavor Snacks fans, so I knew I definitely had to include those items in their baskets. 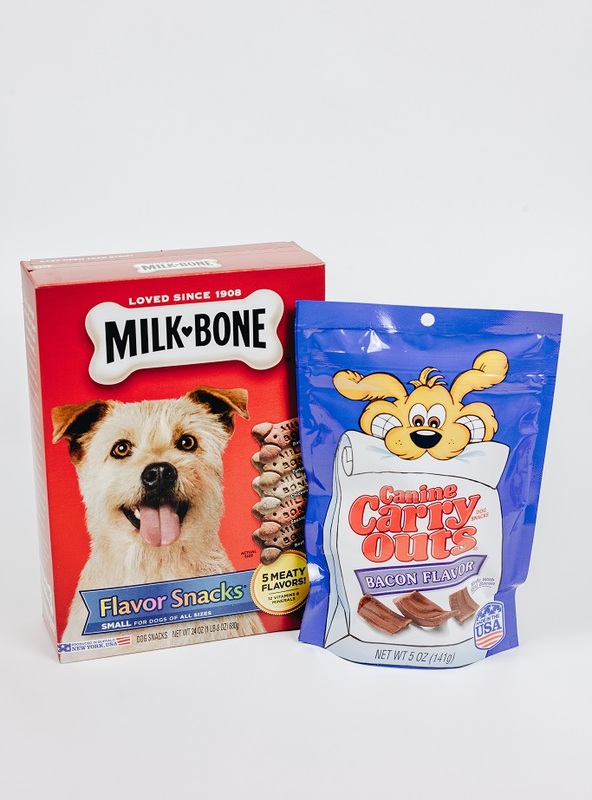 I love that Milk-Bone Flavor Snacks feature teeth cleaning and vitamin-enriched goodness and are for dogs of all sizes so they are perfect for all dogs! 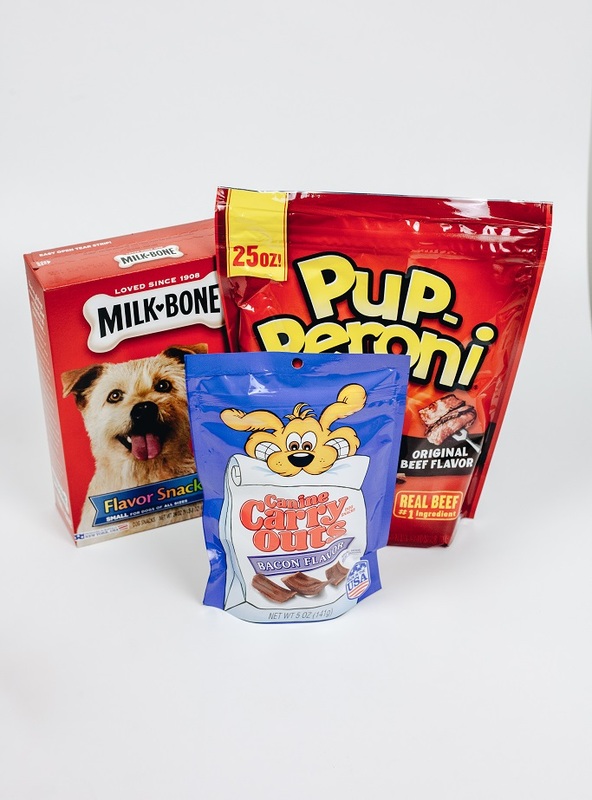 Plus, they are produced right here in the USA, so I know I can trust feeding them to my dogs! 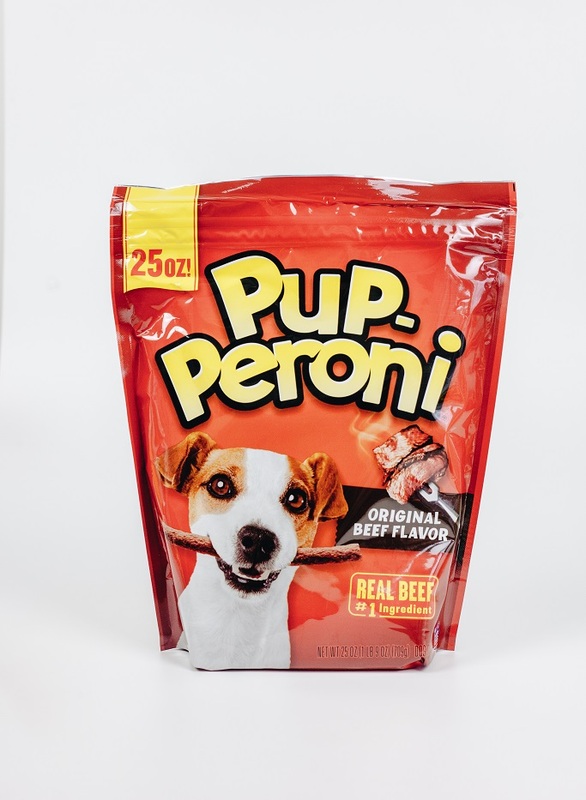 My dog Sophie goes CRAZY for Pup-Peroni beef snacks. They have real beef as the number one ingredient and the aroma just from opening the bag alone, makes their mouths water! Dogs definitely can’t resist them! Lately, I’m also really loving the Canine Carry Outs Bacon Flavor chewy snacks for dogs! They are made with real bacon, are produced in the USA, and are perfectly sized treats for taking on the go or for puppy training too! 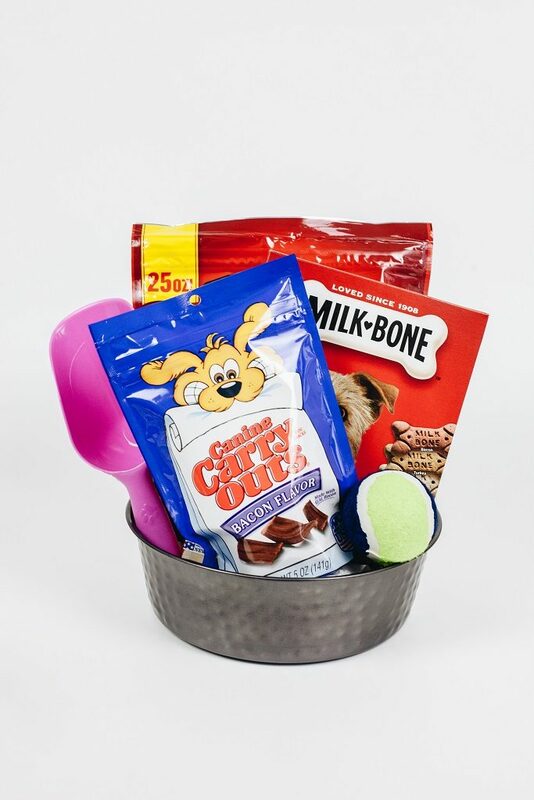 Using the bowl as the basket, begin filling the bowl with your various and assorted treats. Put the largest items in the back and work towards the front filling it with the smaller items. Once you have the items placed in a way that you’re happy with, place the cellophane wrap underneath the bowl. Cut the cellophane so that you have enough around the outside of the bowl to gather at the top and tie with ribbon. Secure the cellophane with ribbon and tie into a bow. 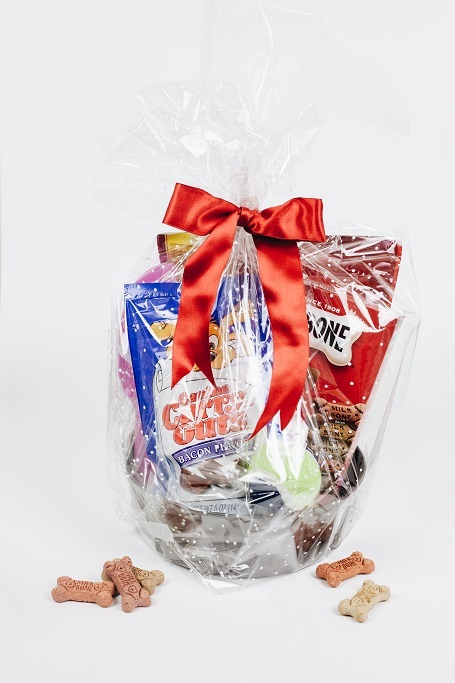 You can even tie a fun dog bone, toy, or dog collar onto the outside of the gift basket too! 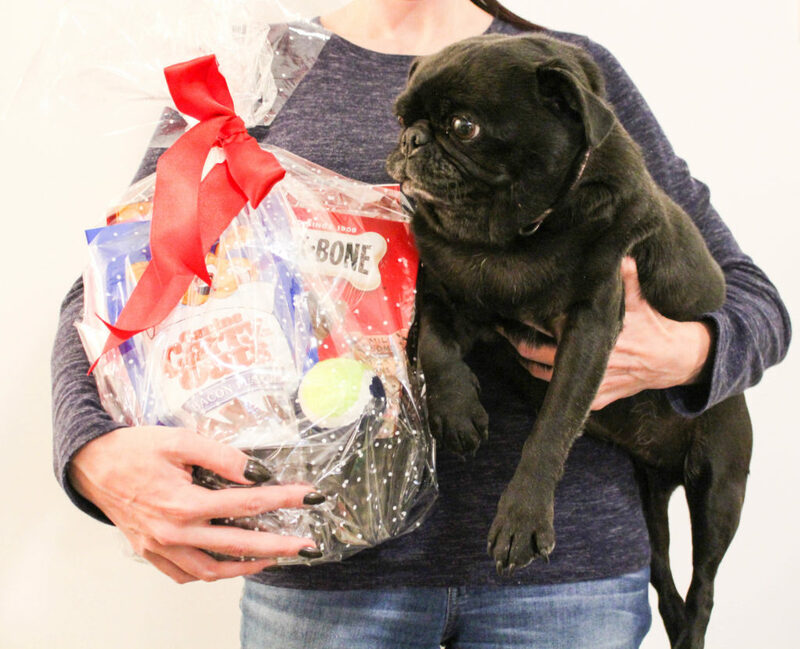 Head here to find out more about the dog treats I included in my dog holiday gift basket and make sure you pick some up next time you’re at Walmart! 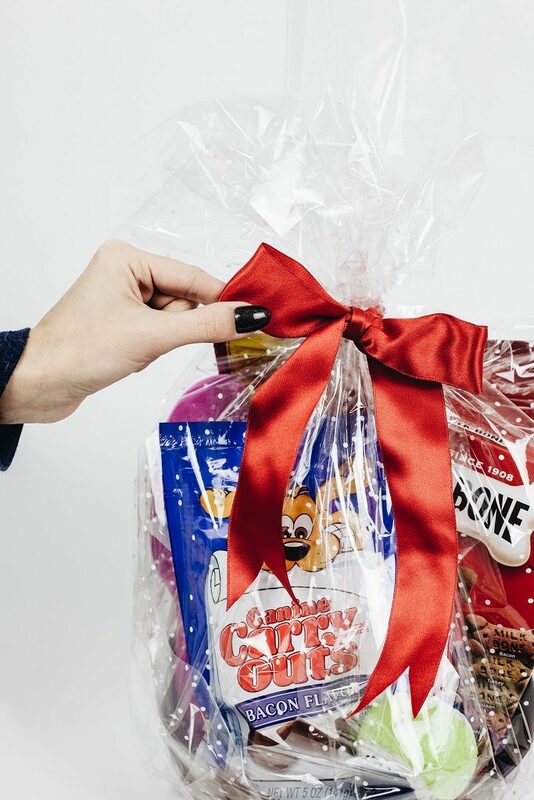 This dog holiday gift basket is an easy way to show your furry friend a little extra love this holiday season!